It was cold, and I shivered. As the landscape around me came into focus, I became aware that I was dreaming. I looked down at my hands; they were small, and pale in the muted light that filtered through the graceful canopy of leaves above me. My skin was luminous, and I could feel my dream body pulsating with light. There was an excitement and thrill that throbbed in my chest as I became fully aware of myself, I, the consciousness called Diana, now traveling out of body in the waking dream. I looked about me and saw that I was standing among ancient trees on a rugged deer track that was not quite a path. My body shivered—to my surprise I could feel the air, cool on my cheek. I reached for the blue robe I was wearing and pulled the cloak tighter around me. As I took a step forward an inexplicable sensation moved through me and I felt the visceral shift of energy emanating from the earth. The ley lines had become alive, pulsating beneath my feet, like rivers of light. The trees vibrated and hummed as the breeze rustled their leaves. I could smell the White Birch tree bedside me, and as I gazed at her bark it rippled with light and shadow, like a snake’s skin. My senses were being activated and I felt like a tuning fork as my body vibrated, and pulsated to the energy of this place. A deep gnosis welled up inside me and I knew I had been “Called” here, and that my consciousness was being welcomed. My dream body pulsed and ached as urgency filled me with a need to follow the path, which wound its way through the trees, up a steep hill. I could feel my destination lay just beyond, and it was calling out to me in the mystical way that sacred space calls to the heart. A thick mist rose all around me. Pulling the hood of my cloak over my head I began to move across the earth, following the thin trail upwards. As I hiked through the sacred space I felt the aliveness of the place, the spirit of the earth pulsated beneath my feet. This place was a reflection of the Great Mother’s creation, a mirror of earth from a time when people honored her as the living Mother, living in attunement and in harmony with her cycles and rhythms. I moved quickly up the hill, my body alive and pulsating with radiant light. As my awareness deepened with this place I felt the vibration of an underground spring and was suddenly aware of the sound of a waterfall, vast and powerful. My heart leapt with joy knowing that I was close now to the unseen hand calling me to this place. I wanted to run to it, and as I began to move faster, the track I was on disappeared into the thick brush. I turned around looking for the way forward, but the path was unclear. And then it occurred to me that in this place of such aliveness I was not separate, or unwelcome. This energy, and the beautiful consciousness that had brought me here was connected to me. Reaching out with my mind and heart I called softly for help. The air about me filled with a glorious softness and there appeared hundreds of luminous blue butterflies with one red dot on their wings that looked like an open eye. Clearly they were my guides and I followed as they led me through the trees, closer and closer to the sound of the water. Higher and higher, through the damp mist I climbed, until I emerged into a clearing looking out upon a smooth stone face of a cliff. In the center of the cliff the stone was hewn open like a gaping mouth and water rushed down the rock face into the turquoise pool below. The waterfall was mesmerizing. As the water crashed down on the rocks below I could feel the mist from its spray dampen my cloak and face. My innate sense told me I was to make my way behind the waterfall. In that moment a white owl appeared and circled above me. As he flew around me I watched him turn his full wingspan sideways and enter the mountain. It was then I realized there was a crack in the wall. In the mystery of the dreamtime I was suddenly standing at the opening, and the stone became malleable and moved to allow my body to enter. In a moment I found myself standing behind the waterfall, inside a large cave. The ground was vibrating beneath my feet and sending waves of energy up my legs and spine. Again I had the overwhelming sense that I was welcome here, I had been “Called” to this place of power. As the sound of water thundered around me I became more and more awake inside of the dream. My awareness and intuition was heightened. Each energy center responded to the frequency of this place, of power and majesty. I walked deeper into the cave towards a light radiating from within. In a few steps I stood in front of a High Altar carved from wood. A sword was embedded in the intricately shaped timber. It lit the cave with the soft light that emanated from it. On the hilt there were gemstones of ruby, emerald, sapphire and topaz. Sitting on the top of the altar was a silver chalice engraved with the symbol of a rose, and the same gemstones circled the rim. In front of the chalice, three old world roses lay entwined in full bloom. I swooned from the intoxicating scents of this holy trinity. 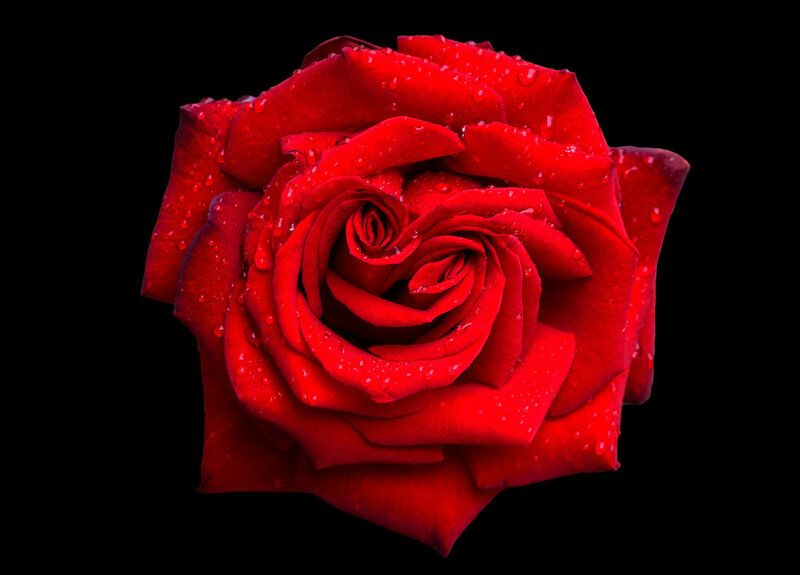 The center rose was deep, ruby red. The rose on its left was a luminous pearlescent white and the rose on its other side was a sensuous, full-bodied pink. The combination of the three scents awakened visions and I could feel a pulsation on my third eye that felt like the buzzing of a swarm of bees. The rarified frequency was lifting me up, opening me, and showing me how to merge with it. I felt love. And then I felt more than love, as the scent of the three roses became the frequency of the Rosa Mystica. I received the direct transmission of a frequency of rarified light that entered me, raising my vibration to match the vibration of the love codes that Rosa Mystica carries. As I breathed in the scent of Rosa Mystica’s intoxicating frequencies I was touched by a vision of the mystical Magdalenas, sisterhood of the rose, working with the holy rose oil to raise their personal body’s vibration to receive the transmission of true grace. From the recesses of the cave I heard the sound of wings flapping. A very old man with long white hair and a beard emerged. He was wrapped in a well-worn cloak, and the white owl was perched on his shoulder. In his other hand he held a staff. As he approached me we gazed deeply into each other’s eyes. When I woke, I was changed by this dream/vision. I was humbled and honored to step into the role of scent priestess, midwifing the holy oil of Rosa Mystica back into the world.